Vape Fear – Updated – Run For Your Life! “The proposed act amends the Tobacco Act to regulate vaping products as a separate class of products,” Health Canada said in a statement on Tuesday November, 22. “We know that there is some evidence to suggest that the use of vaping products can be used as a harm-reduction tool for people who are current smokers,” Health Minister Jane Philpott told reporters in the Commons. 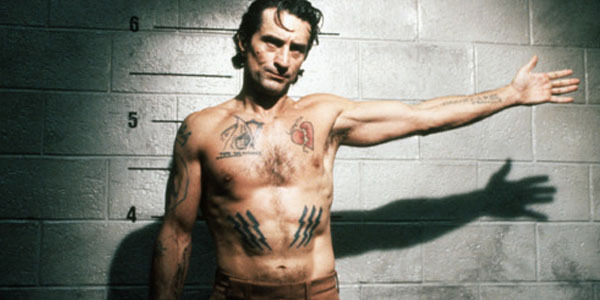 In Martin Scorsese’s 1991 remake of Cape Fear, Robert De Niro plays sociopathic Max Cady, who has recently been released from prison. Years earlier, his attorney, Sam Bowden portrayed by Nick Nolte, deliberately withheld evidence during a criminal trial which would have seen Cady acquitted. This of course enraged Cady and fueled a desire for revenge. As punishment, he stalked and brutalized the Bowden family. Yet, being a true believer, he also felt that by carrying out his terrible deeds he was helping Bowden achieve a type of moral and spiritual redemption. In short, he felt his actions were serving Bowden’s interests. In 2016, consumers, politicians, and health officials are going through Vape Fear. Due to lack of evidence, we are being tested by a product in the marketplace with a potential to improve health outcomes and cause other, if unknown, health problems. It’s a dual-purpose product, in that it has recreational and medical applications. And in the public arena, opponents and supporters of e-cigarette regulations have contested the best approach to it. Supporters of stiff regulation declare that children and young people need to be shielded from products that imitate smoking and might encourage nicotine addiction. (Think Mrs. Lovejoy in the Simpsons.) They favour regulation that might guarantee product safety and quality. These individuals also usually advocate on behalf of a precautionary approach – at least until there is sufficient evidence that e-cigarettes don’t undermine recent successes at controlling tobacco. Opponents of stiff regulation, by contrast, argue that vaping is significantly less harmful than conventional cigarettes and beneficial in helping smokers to quit. They want minimal restrictions on availability and often absolute freedom for advertising, promotion and the use of e-cigarettes in public. (Think Charlton Heston and guns being pried from his cold dead hands.) Restrictions, this camp argues, might put off smokers from swapping to safer alternatives and limit the opportunity of curbing tobacco consumption. Here harm reduction trumps all other suits. Now, against this messy backdrop, governments have taken action. New EU regulations in May imposed standardised quality control on liquids and vaporisers across the union. They also required disclosure of ingredients in vaping liquids and child-proofing and tamper-proofing for liquid packaging. And the NHS has backed e-cigarettes as a quitting aid. Meanwhile, the U.S. government has also taken broad steps to crack down for the first time on e-cigarettes, which have been growing in popularity among teens and is projected to be a 4 billion dollar industry this year. The Food and Drug Administration’s move in May brought regulation of e-cigarettes in line with existing rules for cigarettes, smokeless tobacco and roll-your-own tobacco. This had been highly anticipated after the FDA issued a proposed rule two years ago on how to supervise the e-cigarette industry. “Millions of kids are being introduced to nicotine every year, a new generation hooked on a highly addictive chemical,” U.S. Secretary of Health and Human Services Sylvia Burwell stated during the announcement of the new rules. She asserted too that health officials still don’t have the scientific evidence showing e-cigarettes can help smokers quit, as the industry asserts, and avoid the known ills of tobacco. In all of this, though, a Vape Fear persisted. Added to all this is the idea of vaping garage labs, a part of e-cigarette mythology that’s difficult to shake. While no one has been publicly exposed for mixing juice in an actual garage, many in the industry have confessed privately that some set-ups that are only marginally better. It was and remains the nascent industry’s dirty little secret. With vaping, we know this won’t occur until all multitudinous studies have been completed. And regulators and health authorities reach consensus. Until that point, the regulation and use of e-cigarettes in Canada, the United States, and Scotland will continue to spark serious challenges and health concerns. Without reliable data and hard evidence, and in a state of affairs where no one has a claim to the unassailable truth, regulations that curtail access and promotion to young people appears to be the surest policy in overcoming Vape Fear.